Dangerous Household Spiders of Indiana - Yes Pest Pros, Inc. Dangerous Household Spiders of Indiana - Yes Pest Pros, Inc.
Indiana is home to many species of indigenous and naturalized spiders. They are common household pests and the subject of many calls to pest control companies. In the winter, many of these creepy crawlies seek shelter inside homes. Almost all spiders are capable of biting, given a target they can fit in their mandible, but only one is significantly dangerous to humans. Most can only cause a few squeals and perhaps a red, itchy bump. Here are two spiders common to Indiana that are a bit more dangerous. 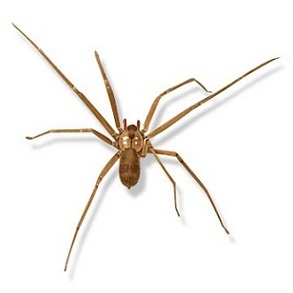 The brown recluse spider does call portions of Indiana home and is a significant danger. This spider is capable of delivering a bite that, while not typically fatal, can cause serious damage to its victim. Its presence in a home may require professional pest control measures. These are unassuming looking spiders: smallish, leggy and brown. They like dark, quiet spots where they won’t be disturbed. They usually roam at night, looking for food. Their webs are messy masses of silk that may be found in dark corners, under furniture or in the garage. Outside they can often be found in the recesses of a woodpile or underneath rocks. They are not usually aggressive and typically bite only when they come into direct contact with humans and feel threatened. The bite of a brown recluse starts as a relatively painless spot. Within a few hours at most, it becomes a red, swollen and intensely painful lesion. It may take on the appearance of an indention in the skin which becomes ulcerated. This is evidence of tissue death and can lead to a painful infection and a large scar if left untreated. The sac spider is named for the silken bag it weaves high on wall or other places of retreat. They remain in their sacs during the day. Like the brown recluse, they are small, nocturnal spiders that do not spin webs to trap food. Instead, they hunt it down. Most measure only a few millimeters in length so they are easily hidden in a home. These spiders don’t normally establish colonies indoors. However, they often seek out a warm place to escape winter weather. Humans typically come into contact with sac spiders in their bedrooms at night. Their bite is not as bad as the brown recluse, but it still packs a punch. It may feel like a wasp’s sting and may also cause an allergic reaction in sensitive systems. Their bites are known for developing secondary infections which is why they are considered a pest control problem worthy of an exterminator. This may be due to their habit of eating dead and decaying arthropods. When faced with a dangerous spider, it’s best to trust the problem to a professional pest control services company such as Young Environmental Solutions. YES Pest Pros can track down the spiders and help eliminate any points of entry they may be using to access your home.